The last big report shared that over half of all US counties have Lyme Disease. Now, Quest Diagnostics has released data based on blood samples that it’s clear: all 50 states have Lyme Disease (and, logically, the ticks that carry it). Many of these regions aren’t aware. Patients aren’t aware to check for ticks or signs of Lyme Disease, doctors aren’t aware that it’s a possibility (and might be causing the chronic pain, fatigue, or other conditions patients complain about and get dismissed for), and the small governments in charge of pest managements may not be aware of the threat lurking in their backyards. It used to be that people dismissed Lyme Disease as easily diagnosed: even if you don’t find a tick (which can be the size of a poppy seed early in the year), just watch out for the tell-tale bullseye rash. Unfortunately, only a slight majority of Lyme Disease cases develop that rash (less, if you consider that Lyme Disease is underdiagnosed). Instead, everyone needs to be aware that they’re potentially at risk for Lyme Disease as the ticks that carry it are surviving and thriving in more and more areas, and to watch for other symptoms like joint pain, fatigue, and weakness. Chronic Lyme Disease is likely a catch-all for a number of things, including re-infection, lasting damage from the inflammation Lyme Disease causes, or some as yet imperfectly documented physical response by the body. When caught early, Lyme Disease can be treated with antibiotics, but getting diagnosed and catching it early is the hard part. Prevention is key: wear long sleeves and pants when out in nature (even your own yard if it borders with thicker or taller grass, bushes, trees, etc., or if you have wild mammals wandering in and out). Do a tick check after spending time outside, and consider showering to knock off and new friends you may have picked up. 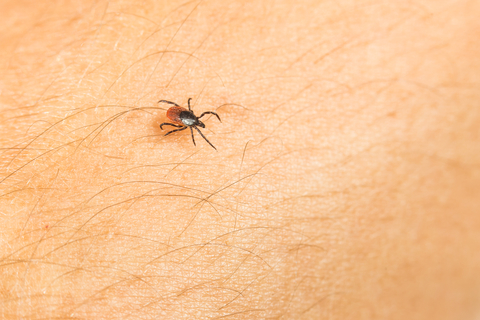 If you find a tick bite, remove it in a quick, straightforward way (no fire, smothering, or other internet tricks that actually make catching Lyme Disease more likely!). And don’t forget you can always be prepared with daily immune support from colloidal silver. Make sure that you have an extra layer of support for whatever the day brings—whether it’s a jaunt into nature, or just to help when you have an off day from too little sleep, poor diet, or stress. Until a good frost hits, watch out for tick bites and Lyme Disease, and stay prepared with colloidal silver!